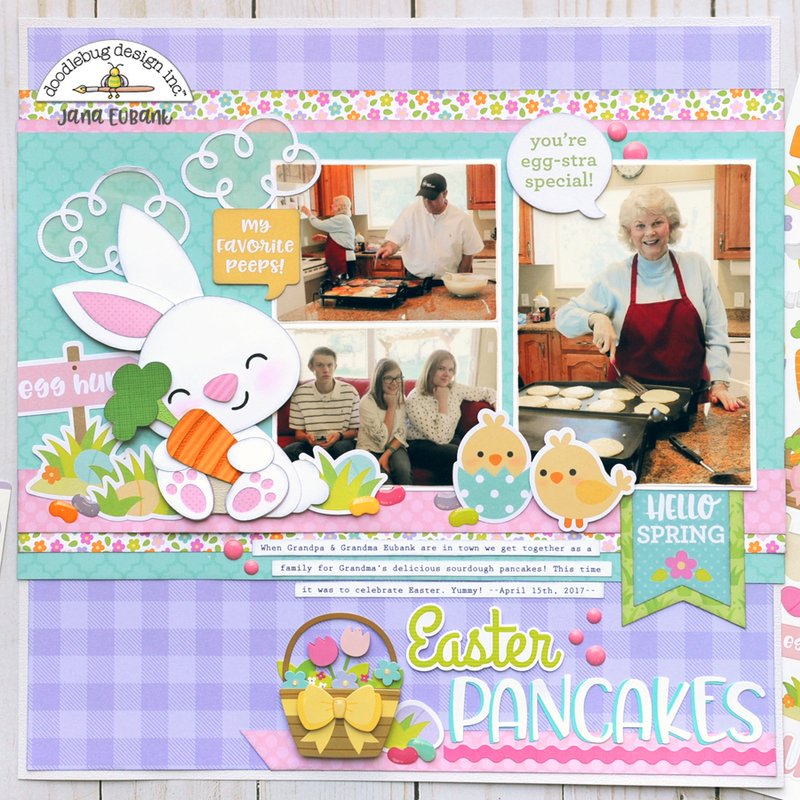 For my page today, I used the Hoppy Easter Collection, along with a pair of cut files to create the page below! This sweet bunny hugging his carrot is so adorable! 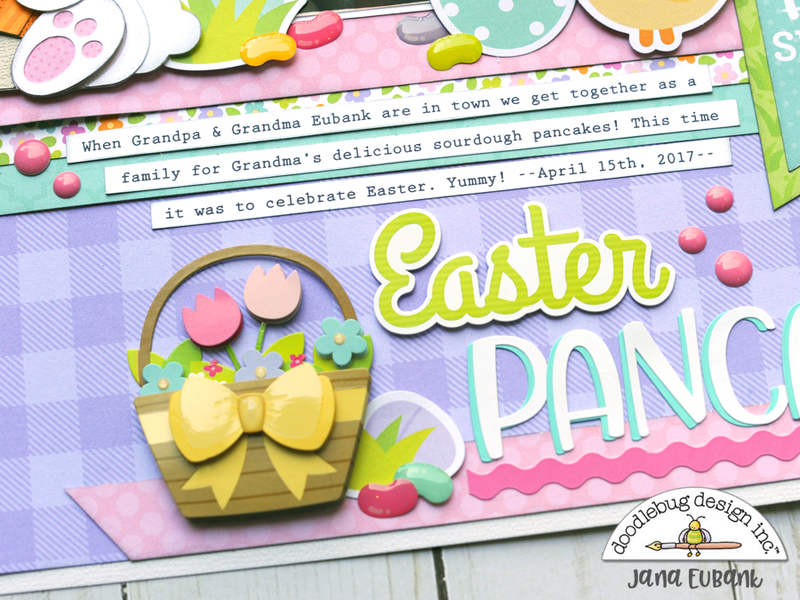 I used the Petite Print Rainbow 6x6 Paper Pads on the colored portions of the design. I then layered several of the Odds & Ends grass die cuts together to give him a place to sit. How cute are the Jellies Sprinkles hidden here-and-there?! The clouds were created with vellum and white cardstock using a Simply Spring Cloud cut file. On the right side of the page are a pair of chicks from the Odds & Ends pack. I added pink chalked cheeks to each one, just like the paper pieced bunny. I placed the title at the bottom of the page below the journaling. 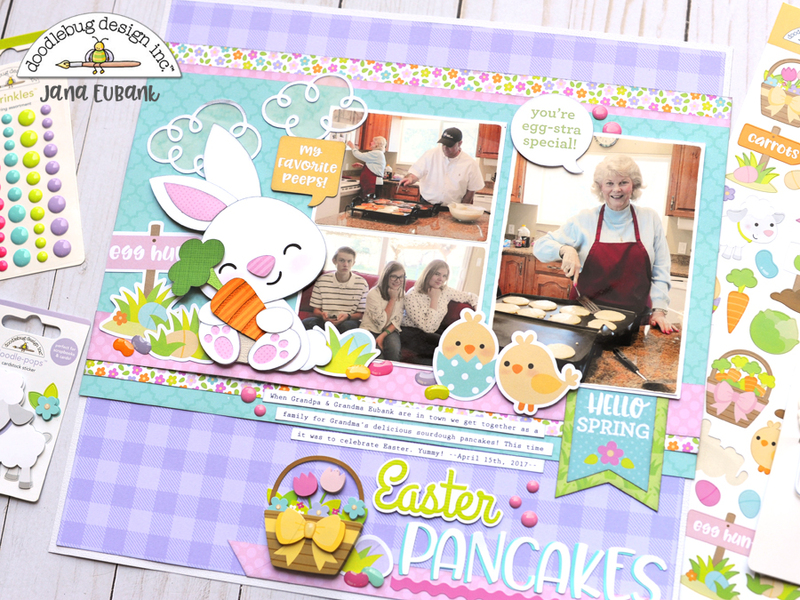 I used the "Easter" word sticker from the Icons Sticker Sheet along with layered Swimming Pool and Lily White Abigail Letter Stickers. The left side of the title is accented with the too-cute-for-words Flower Basket Doodle-pop Sticker. 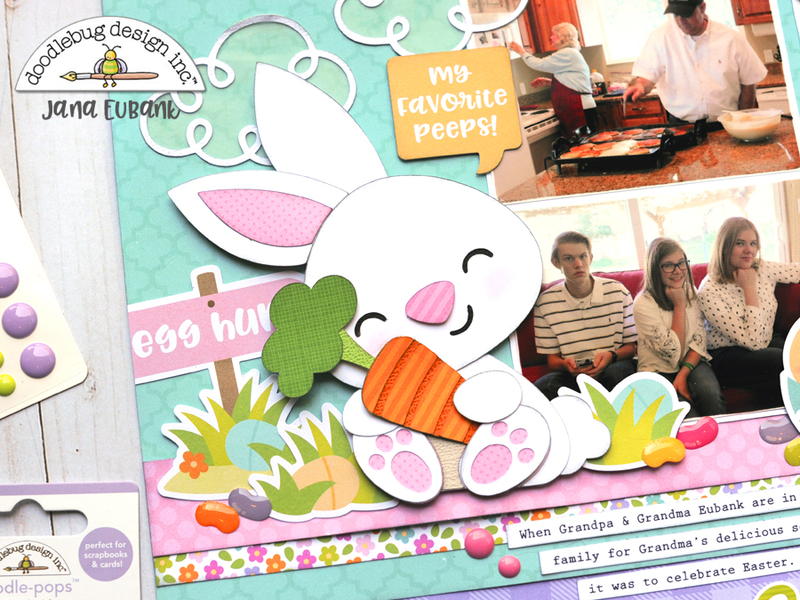 Creating the die cut bunny and clouds for this page was so much fun! 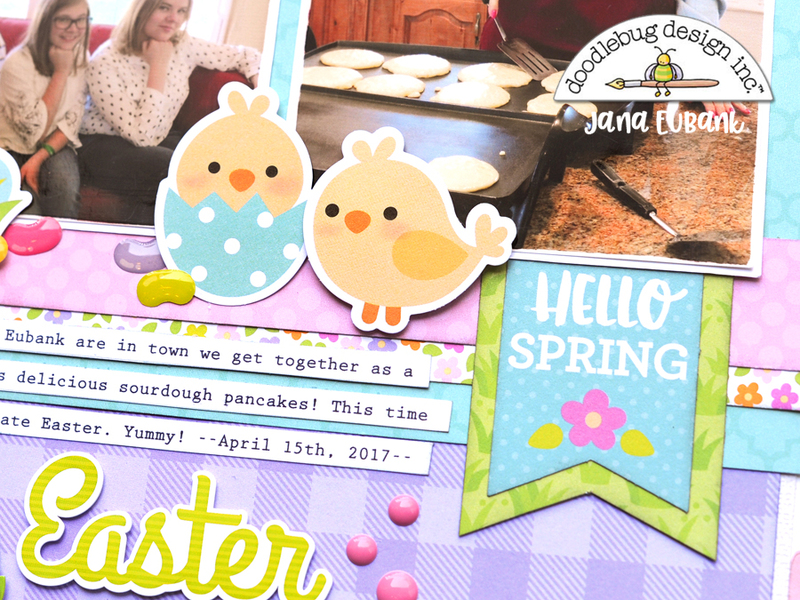 Have you given the Doodlebug Cut Files a spin lately? Thanks for stopping by!